After all, it’s not a lot of fun to wake up and realize that your apartment has been turned into a miniaturized swimming pool and you see what looks like last week’s take-out floating by you before you get your morning cup of coffee. Unfortunately, these kinds of things happen a whole lot more often than most people realize – and even worse than that, much of these problems are completely and totally avoided with just a little bit of plumbing maintenance. Now, you’re probably going to want to call the super in your building (or a professional nyc plumber service like Plumbing NYC) to tackle the “heavy lifting” kinds of problems that you might come across – clogged toilets, drains that are as plugged up as it gets, and leaks that you can’t fix on your own – but by using the preventative maintenance tips and tricks below you’ll be able to save a lot of time, money, and aggravation by handling things all on your own. Obviously, if you ever feel in over your head when tackling these kinds of projects, don’t be shy about calling the best nyc plumber has to offer. There are going to be hundreds and hundreds of different options for you to pick and choose from, but you’ll find that services like Plumbing NYC distinguish themselves with their community reputation of providing real results without breaking your bank account in half! If you are in need of a professional plumber, or discover that you should probably call in the professionals after doing a little bit of routine maintenance, give the people at Plumbing NYC a call. They offer 24 hour NYC Plumber services that you can take advantage of around-the-clock in an emergency, but you can also schedule work with them if you’d like to jump ahead of a serious issue before it spirals out of control. They are the kinds of experts you’ll want on your side. 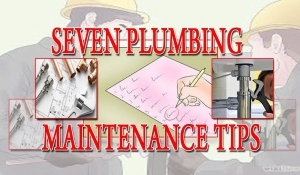 But for now let’s get to the seven plumbing maintenance tips you absolutely NEED to know about! Almost all major plumbing problems that require the help of emergency plumbing NYC services start off as pinhole like leaks, the kind of leaks that you can fix while they are still next to nothing and eliminate major problems before they ever get a chance to blow up into a catastrophe. You’re going to want to give all of your pipes a thorough inspection at least once a month (and certainly no less than every two months), going through all of your pipes with a flashlight to identify any signs of leakage or moisture event might lead to bigger problems later down the line. Because NYC properties aren’t that large, this entire audit should only take you 15 or 20 minutes a month – and maybe just a little bit more. 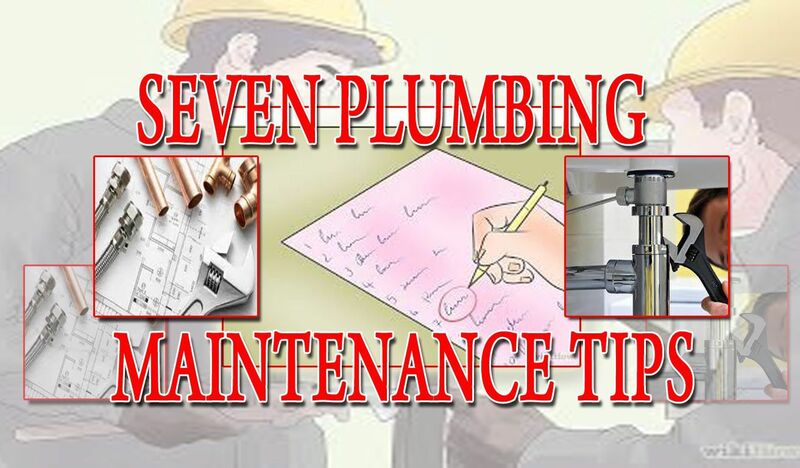 However, by really doing this and actually getting your eyeballs on your plumbing situation in system, you’ll know the difference between minor problems that require a bit of attention and emergency situations that you’ll need to call Plumbing NYC to come in and take care of. Because we live in the Northeast and are hammered with pretty terrible winter weather, you’re going to want to train your pipes and insulate them against the cold during the warmer summer months. There is absolutely nothing worse than a burst pipe somewhere in your home or apartment. Remember when we talked about seeing last week’s take-out float by you above? Well, if your pipes burst, not only are you going to have to deal with that situation – you might get a chance to see exactly what the neighbors have been eating as well. When old pipes are left exposed to the cold (and left in uninsulated areas), they have the nasty little habit of popping open with major leaks later down the line. Just by insulating your pipes against the cold (draining them first to make sure that you aren’t leaving anything “backed up” in the system) you’ll be able to protect your home and your plumbing system from these kinds of catastrophic failures. If you aren’t quite up to the task of insulating your pipes on your own, don’t be shy about calling in the right NYC plumber to tackle the project for you. Believe it or not, this is one of the most cost-effective (but valuable) investments you could decide to make – and the folks at Plumbing NYC would be more than happy to help you out! Clogged drains are an absolute nightmare to deal with. We’ve all been there, dealing with sink faucets or drains that have become overloaded with dirt, debris, and all kinds of other “unmentionables” that gum the system up instantly – and then we run the risk of flooding that kind of stuff back into our homes if we aren’t able to shut the water off or fix the problem. 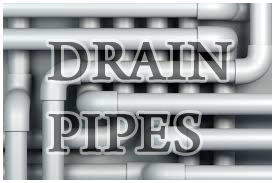 By installing drain screens in each and every single one of your drains, you’ll never have to worry about this becoming a problem again. Sure, you might have to do a bit of cleaning that you wouldn’t have before (pulling the drain screens out and dumping them in the garbage), but you’re also never going to have to worry about losing your wedding ring down the New York City plumbing while washing dishes again! This is definitely something that you’ll want to tackle on your own, and not something that NYC plumber are going to offer as a service. Just go down to the local hardware store or department store, get your hands on some high quality plumbing screens (they’re almost always universally fit to just about any drain size unimaginable), and you will be good to go! Remember mixing baking soda and vinegar together to create an explosive reaction? Maybe you combined the two together so that you could ace a science fair project back in grade school, sitting back and relaxing as your miniature version of Mount Vesuvius blew its top and covered the classroom in a weird foamy and fuzzy concoction. Well, you’re going to want to tap into your inner child once again by dumping a bit of baking soda down your drains (all of them) every month or every three weeks. Drop about a quarter of a cup of baking soda down the chute, and then follow that up with a blast of hot water – just enough to move the baking soda farther down the line. Once that’s taking care of, poor a bit of white vinegar down your pipes and went to the miracle of science go to work. The natural chemical reaction between these two compounds will cause a superpowered foamy cleaner to expand inside of all your pipes, dissolving all kinds of gunk and debris that you only would have been able to get rid of with potent (and potentially dangerous) chemical cleaners. But by using the Mount Vesuvius Cleaner and that you can create all on your own, you’ll not only flush your pipes effectively (and effortlessly) – but you’ll also do so using a 100% non-toxic cleaner that is safe for everyone and the environment! On top of that, it’s just a lot of fun! Do absolutely everything in your power to leak proof your faucets, as this is where the majority of “slow leaks” happen in New York City apartments. In fact, if you were to poll NYC plumbing services about the kinds of projects that they tackle most frequently, many of them would tell you that they are called in every single day to fix leaks or catastrophic problems that all started with a leaky faucet. Most of the time, leaky faucets occur because the washers that have been installed to act as a “buffer zone” between the fixtures and the sink itself have been tightened way too much. This causes a lot of stress and pressure on the system, weakens the seal, and in the end you are dealing with gallons and gallons of water that are pouring out of your faucet – and you might not even know it! What you’re going to want to do is make sure that you install new fixtures in your home or apartment when you move in, replacing all of the old seals and washers and making sure that you do not over tighten the fixtures. You also might want to take advantage of plumber’s putty, silicone or Kevlar tape, or a number of other plumber supplies that you can get from Plumbing NYC – or you might just want to have them tackle this replacement project for you! The last thing that you want to have happen in your home or apartment in New York City is to have your washing machine or dishwasher go on the fritz, pouring water all over your home (or into the walls) and potentially causing a dangerous or deadly situation because of the electricity that is running through these appliances. With all of the rocking and shaking at washing machines and dishwashers do, you always run the risk of your plumbing getting disengaged or dislodge from the back of these systems – which is why you’ll want to make sure that you have hose screens installed and that everything is firmly clamped or secured together. This going to be a little bit of play when it comes to these plumbing components (simply because there has to be a bit of movement – controlled movement – to account for the shaking in vibration of the appliances), but too much means that something has gone wrong and you’re about to deal with an emergency plumbing NYC issue that needs to be taken care of right away! By installing hose screens and clamps (and checking them regularly) you won’t have to deal with all of that headache and hassle moving forward. Lastly, you need to know exactly where all of your shut off valves are in the home. Not only will you need to know where your shutoff valves are on specific appliances and fixtures (especially things like the toilet and your dishwasher/washing machine), but you also want to know where the main shutoff valve is so that you can “throw the switch” in the event of an emergency situation. Having this information is going to give you a lot of confidence to deal with plumbing problems as they pop up, and because you are living in New York City (one of the greatest cities in the world) you’re going to have to anticipate at least some of those problems popping up from time to time. Hopefully all of the insider information you’ve gathered above gives you enough of a head start to feel good about keeping your plumbing system in tip top shape. Remember, if you ever feel overwhelmed or are dealing with an emergency situation, call the best plumbing nyc experts around – the folks at Plumbing NYC. They’ll send out nyc plumber experts immediately to help and assist you, and you’ll never have to worry about breaking the bank on NYC plumber services that would set you back thousands and thousands of dollars – money that you might not have!